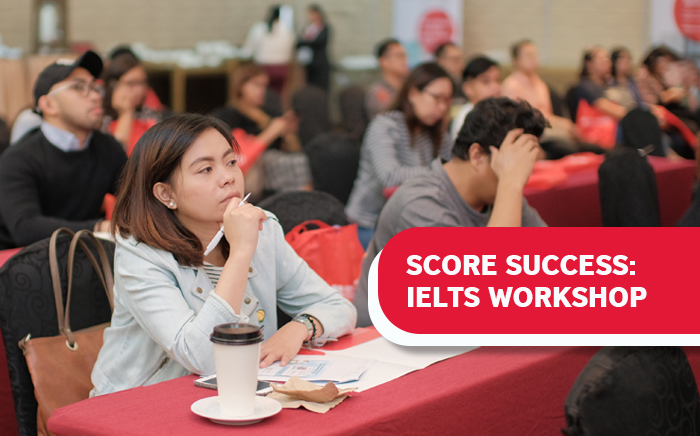 The Score Success: IELTS Workshop familiarises you with the IELTS test format. By knowing what the test involves you will be able to perform more confidently on your test day. The workshop takes a practical approach to learning, and you will work together with other students to perform tasks. This workshop is FREE for registered British Council IELTS test takers. If you have not registered for the test yet, please click here. To register for the workshop, click here or click the registration button below. We will be sending reminders and other information about the venue so we highly recommend pre-registration. We suggest that you take this workshop one month before the date of your IELTS test. Registration is from 8.30 a.m. to 9.00 a.m., and runs from 9.00 a.m. to 5.00 p.m. Please note there is a lunch break from 12.00 p.m. to 1.00 p.m. Meals will not be provided, so we suggest you bring your own.